Keep an eye on your visitors. Who is Good, who is Bad. Keep the bad guys away. Is somebody attacking your website? See Live. This extension watches for requests coming to your website and tries to identify the bad ones. The best of all is that you can see them live. 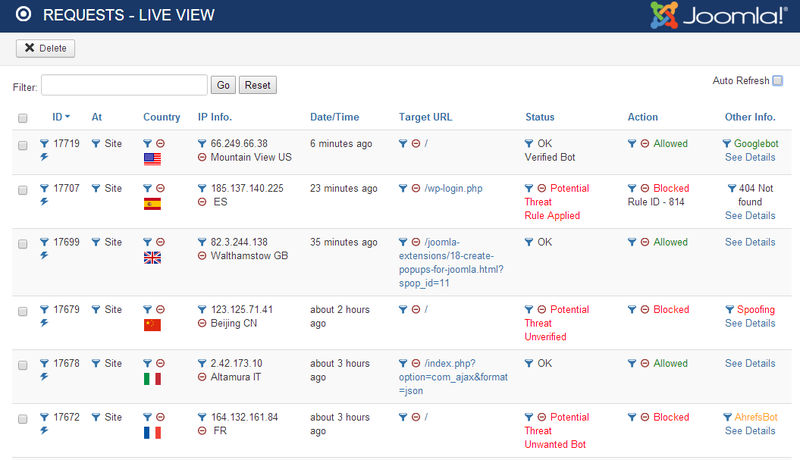 You can also see which unwanted and potentially bad bots are visiting your website. We have added a free version also. You can download that from above. The PRO version of course has more features. .htaccess bot blocking is not enough. You can't trust the user-agent provided by the bots. Say, if a visitor says he is google bot. Can you trust it? NO. It can be a malicious bad bot that is stealing your content and bandwidth. Making your website slow. That is why the traditional method of .htaccess blocking is not enough. Bad bots may consume valuable bandwidth and processing power of your web server. The result of high bot visits may slow down your legitimate users. Many people assume that if a requesting visitor says that it is a GoogleBot in it's useragent string, it is good. Unfortunately, this is not true. Useragent string can easily be spoofed by bad bots. Geo information of VisitorsYou can see from where do you get most good visitors and from where you get attacking attempts. This gives you a clear picture of what countries are important for you. The next step, can be block unwanted ones. Temporary or Permanent. Both Possible. 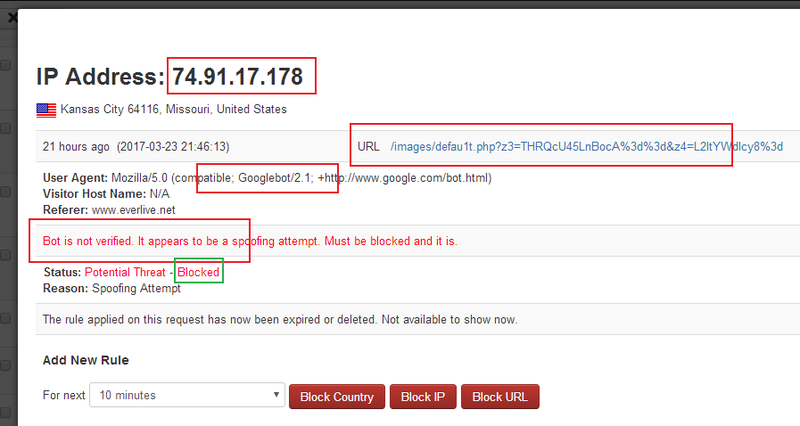 While you know if some bad visitors are coming to your website, it is very important to block them also. Getting geo information about visitor is an important factor but many solutions available in the market do it on the expense of valuable server time and slowing your server response. We don't do that. Instead we use a technology to find IP Geo information without slowing down your response. This makes it possible to deliver fast while providing the important security features as well. Bad bots blocking and Good Bot verification are also two very important features.